Hello my friends. I remember several years ago when my friend Nicolas Drosos gave me a CD which included a radio show from England. The radio internet show was called Soul24-7.com. I heard it immediately and later I heard the song "One for the road". I was hearing it for one hour continuously. I called my friend George Polychroniou, who is a huge collector in Greece. George said to me : "You are crazy". As I remember, I tried to find the title of this song but nothing. I searched the song as "One for the road or One from the road" in the web, but I didn't find anything. This album was an unknown album in the world. Several days later, I came in contact with my friend and collector John Ridley. I asked him if he had the album. The fact that I got a positive answer was very exciting because I finally had the opportunity to hear this masterpiece. Later in 2006, I saw the album for the first time on ebay. It was sold for over of $400. Despite trying to buy this album, my effort was not successful, because I could not spend so much money. It has been many years since I saw the album. A year ago I got the opportunity to buy it without spending a lot of money. I was very lucky. 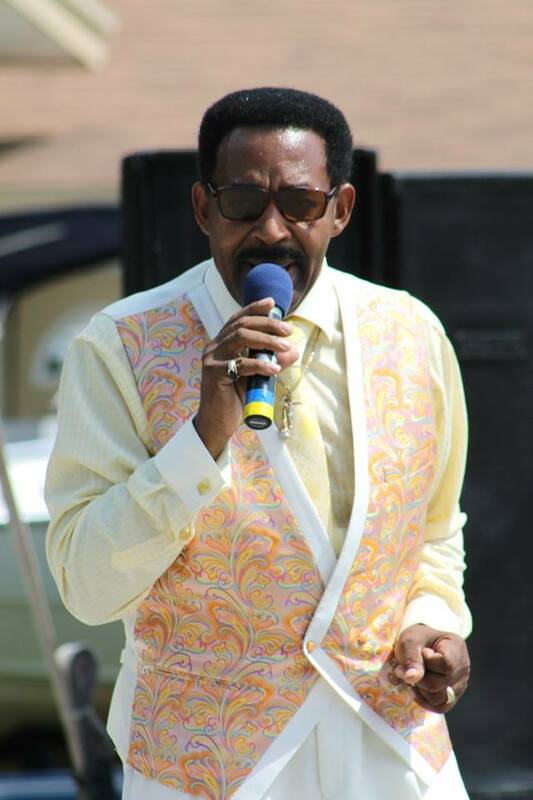 Gregg Jackson began his music career at a very young age of 6 performing in Gospel choirs, dance troupes and shows. He studied under the direction of the famous Boston Pops artist Anna Maria Santorelli. In the early 80s he formed his own band called Gregg Jackson & Strike Force Band. He released an album on KYP Productions Inc. It was recorded at Normandy Sound Inc, Warren, Rhode Island. The members of Strike Force Band were Steve Brown on drums, Mergy Ford on bass, David Prout on guitar and Al Dinotti on keyboards. I want to thank Gregg Jackson for his info. Also the artists Kevin Falvey on keyboards and trumpet, Deric Dyer on saxophone, Ronnie Rose on percussion appeared on the album. Background vocals by Kevin Falvey, Ronnie Rose and Suzy Lee. I chose three (3) trcaks. Of course the self-titled song "One for the road" in which Deric Dyer with his saxophone accompanies Gregg Jackson on vocals. The second song is entitled "Your Love". Excellent mid-tempo. I love it. Finally I have chosen the song "Dizzy Dancin" which I have edited and is a little different from the version of the album. Today he has formed his own band called Gregg Jackson & The Mojo Band. The group has been together for about 15 years. At this time the members of the group are Gregg Jackson on vocals, Steve Bolanda on guitar, Harry Burns on bass and Brian Cunningham on drums. I must note that Kevin Falvey founded the American Standard Band and played in it for more than 10 years. He also managed rock bands. Falvey toured internationally and recorded with several musical artists, including Joe Cocker. Sadly he died on December 29, 1999.